They worked together nearly 20 years ago, and the actor has undergone quite the transformation. 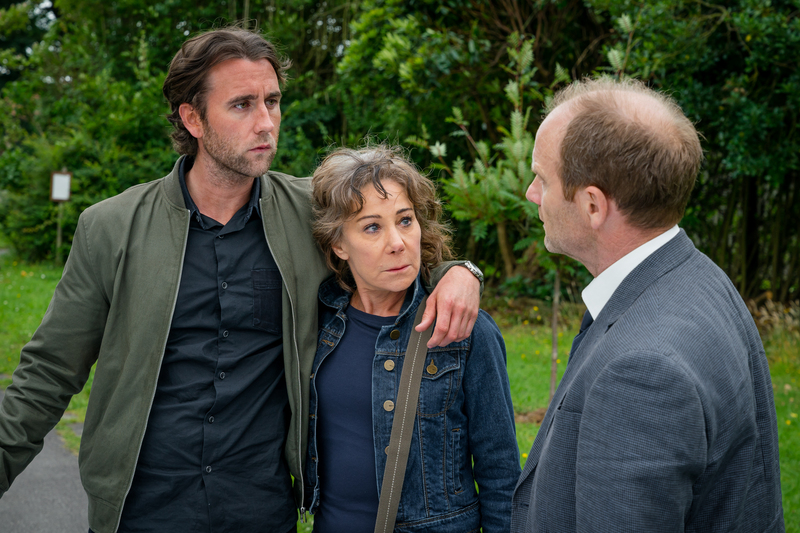 Zoe Wanamaker has said it was a “shock” to see that her former Harry Potter co-star Matthew Lewis had turned into a “gorgeous hunk” when they reunited for a new TV programme. Wanamaker plays Gail in Kay Mellor’s new drama series Girlfriends, and Lewis appears as her troublesome son Tom. The pair both starred in the magical franchise’s first film Harry Potter And The Philosopher’s Stone in 2001, with Wanamaker starring as teacher Madam Hooch and Lewis as the clumsy young wizard Neville Longbottom. Over 15 years later, the actress has shared her surprise in working with Lewis again and how his appearance has changed. Wanamaker said: “I haven’t seen Matthew since he was in Harry Potter, so it was a shock when I saw him. In recent years, 28-year-old Lewis has wowed fans after losing weight and toning up, meaning he looks a world away from his chubby Harry Potter alter-ego. Girlfriends follows the lives of three women over the age of 50, with Wanamaker as Gail and Phyllis Logan and Miranda Richardson as her lifelong friends Linda and Sue. Wanamaker, who is also known for starring in sitcom My Family, said the new programme is a big change from that. She said: “This is different. This is a different kind of writing. My Family, for instance, is a sitcom. I always used to think it was called ‘sitting down comedy’. She said that Girlfriends appealed to her because of how it champions the three female leads. “That’s always interesting because they’re completely, like all of us, individual characters with individual storylines, and bringing those life crises,” she said. Girlfriends airs on January 3 at 9pm on ITV.